My male and female live in the same cage. Should I separate them if she is pregnant? Yep, we would. Cuz, if you don't, you'll have a new litter every 32-33 days. And, if the buck doesn't mind his business, he might disrupt the kindling process, with disastrous consequences to the kits. Hi, well my bunnies are doing well, they are over a year and a half now. She has had 2 litters and I have had a couple die, but that is to be expected, I did keep one of the babies because she had rejected him, so I had to bottle feed him, which is all good. At the moment he had become quite mean, he is biting, spraying and charging at us, I will be getting him desexed soon and I hope this will all stop, my other male bunny doesn't do any of these things, so I don't know what is wrong with him. If I go sit outside he will come up to me and sit on my lap and I will pat him, and then when I go to get his bowl out of his cage he will charge at me and bite, why is he doing this? My doe has been doing all the being pregnant signs, picking up hay, pulling fur, grunting. I felt her tummy and thought I felt babies, but its like she prepared but no birth. I guess it was a phantom pregnancy. It's summer in Australia. 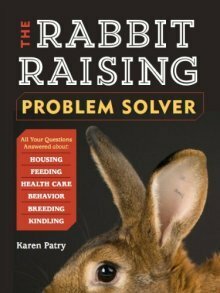 The summer heat can sterilize the male rabbit for a short time. This may be why no bunnies. It may take him a month or two after the weather cools before he can 'papa' again. Dwarfs can breed, no prob. The deal is that if both parents are true dwarfs, about 25% of the offspring will be fatal peanuts. Peanuts are usually born dead, but if alive, they will die within the first week most frequently. But the other kits will be just fine.